What is preferences, How do I edit my preferences? 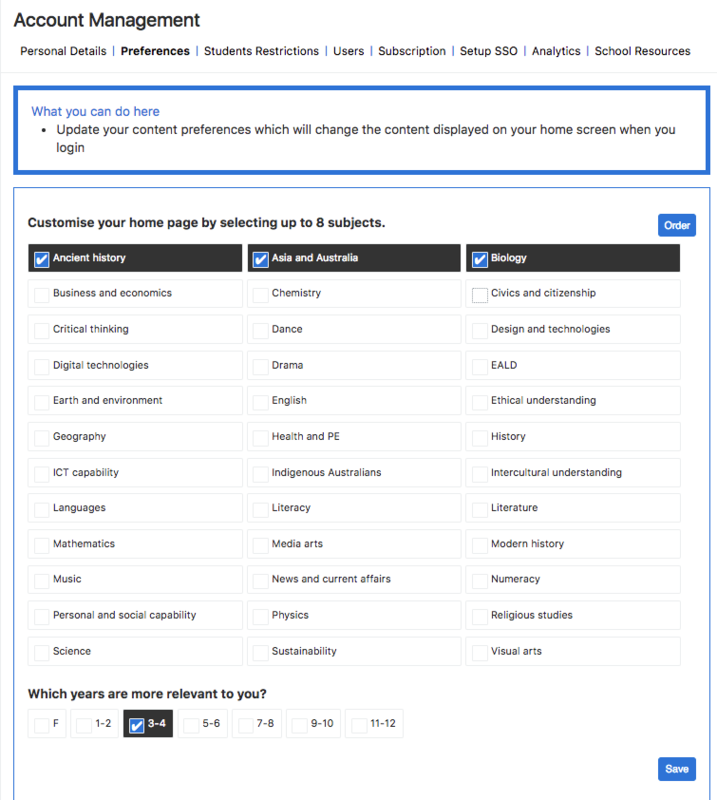 Your preferences are where you are able to customise your home screen to see videos that relate to subjects your teach and age level. It will then direct you to the Account management area, then click on Preferences. Once in the preferences screen, you will able to select 3-8 subjects that will display on your EnhanceTV home page. Drag and click to change the order of how your preferences appear on your home screen. 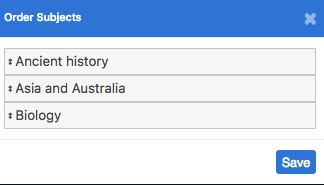 *denotes if you select subject preferences, you must select a minimum of 3 to a maximum of 8.